No one was injured after a grain truck caught on fire Monday afternoon. Saline County Sheriff Roger Soldan tells KSAL News that members of Rural Fire District #6 responded to the 3000 block of W. Farrelly Road on Monday around 1:30pm to the the report of a grain truck on fire. 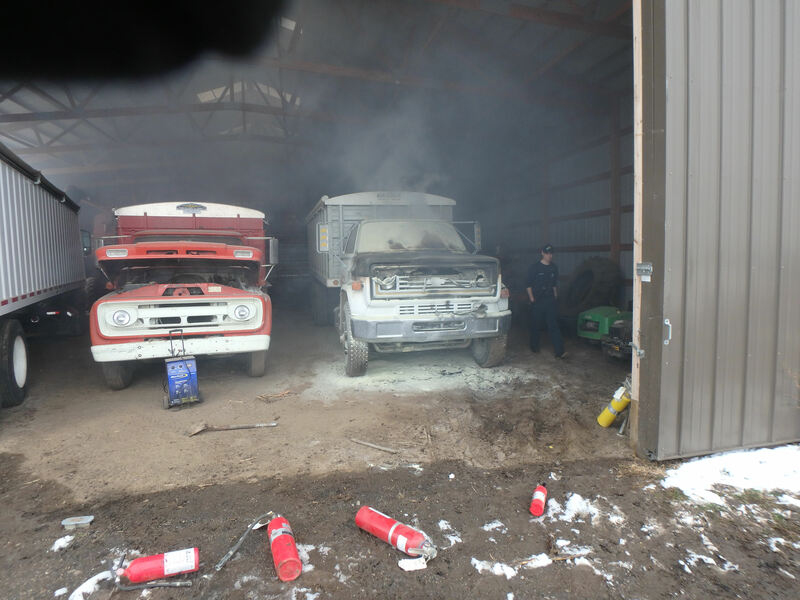 Deputies say owner, David Persigehl started up the 1979 Chevy and quickly discovered a fire had ignited under the hood in the engine. The truck which is valued at $13,000 is listed as a total loss to the farming operation.